The Summit SuperSeries presented by AMSOIL held its first of nine world championship events for the 2015 season. Spokane County Raceway hosted the team finals event that not only crowned IHRA champions for the division, but also kicks off the list of qualifiers for the Summit Super Series World Championship at the upcoming Summit World Finals. That event will crown a World Champion in Box, No Box and Junior Dragster categories. The Summit Super Series run-off regional champion from each of the division finals will go to Memphis International Raceway, October 9-10, 2015 for the culminating event. In the team competition, Spokane County Raceway – Team A won the Division 6 Summit Team Finals over Team B from the same host track. The Spokane winning team earned 18 points while the second home team earned 14 points. Walla Walla Dragstrip - Team A finished third with 12 team points while Northern Lights Raceway - Team A finished with 12 team points as well. The tie breaker was decided by which of the two teams had a competitor go the farthest in the day’s eliminations. Teams from Castrol Raceway, Interlake Dragway, Hi-Line Dragstrip, and Alaska Raceway Park completed the track entry roster for the weekend. 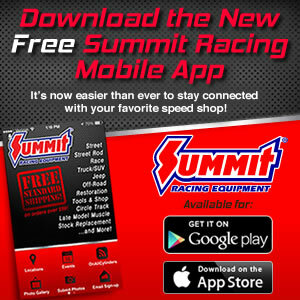 Northern Lights Raceway made the first statement in the quest for the Summit Super Series Championship. The first two tickets punched for the World Championship race at the Summit World Finals belong to drivers Mike Lucas and Andy Closkey representing the Fort St John, BC Dragstrip. In Box competition, Andy Closkey, behind the wheel of his 1965 Chevelle, earned the first round bye run then put up consistent lights in the semi-finals and finals only to see his opponents James Hornby (Spokane County Raceway - Team A) and Dean Smith (Interlake Dragway) go red in consecutive rounds. In the No-Box class, Mike Lucas, in his 2000 Camaro, put on a clinic with .006 and .019 lights in the first and second rounds and safely running .015 over against Mike Cofini (Spokane Team A) and .014 over his dial against Dean Smith (Interlake). In the finals, Lucas grabbed a .018 starting line advantage over Stephen Johansen (Walla Walla Team A) and ran a dead-on 7.710 on his 7.71 dial for the championship. The first Junior competitor to earn a spot in the Junior Summit Super Series World Championship field was Jake Nickerson representing Spokane County Raceway - Team B. Nickerson used a .012 light to defeat Kort Holbrook, from Walla Walla Dragstrip - Team A, and then earned the bye run in the semi-finals. Nickerson again showed his starting line dominance by throwing down a .013 light and cruising for the win against Ethan Ochitwa representing Castrol Raceway - Team B in the final round. In the competition for the IHRA Division 6 championship, the winners were John Tiegen in Top, Andy Closkey in Modified, Cole Butler in Junior Dragster and Mark Jennings in Street. In the finals of Top category, John Tiegen, representing Northern Lights Raceway met up with Jeffrey Oien who was there for Spokane County Raceway. Tiegen, in his Cavalier, ran an 8.056 on his 8.05 dial-in to become the 2015 Border Bandits champion. Oien, had the starting line reaction advantage but could not take the finish line strip first running a 9.814 on his 9.78 dial-in. The Mod championship for this year went to Andy Closkey who continued his hot streak as No Box winner in the Summit SuperSeries competition. Closkey, in his ’65 Chevelle representing Northern Lights Raceway, defeated DJ Oien who competed for Spokane County Raceway in his ’89 Mustang. Closkey got the win light running a 10.22 on his 10.18 dial while Oien fell to a 12.95 on his 12.85 dial-in. In Street, it was an all Spokane County Raceway final between Mark Jenning in his ’95 Z28 Camaro and John Diener competing with his ’84 Toyota Sura. Jennings used a big starting line advantage to hold off Diener for the championship win. Diener ran a closer 14.727 on his 14.72 dial-in but Jenning made it to the finish line first with a 12.01 on his 11.96 dial. The Junior Dragster title for Division 6 this year went to Cole Butler competing for Interlake Dragway over Jackson Watts racing as a representative for Walla Walla Dragstrip. In a double break-out final. Butler ran a 8.14 on his 8.16 dial to win over Walls’12.31 on a 12.36 dial.